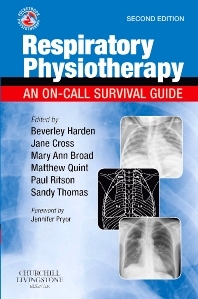 The second edition of RESPIRATORY PHYSIOTHERAPY (formerly EMERGENCY PHYSIOTHERAPY) continues to be a highly accessible and convenient guide which brings the insight of clinical experts in the field to the fingertips of the busy physiotherapist who are often exposed to challenging and stressful situations. Beverley Harden is now joined by a team of 5 additional Editors and the new edition has been completely revamped. It looks at assessment, management of and calls to specific areas while presenting key information in tables, bullets and summaries for quick reference on the ward.